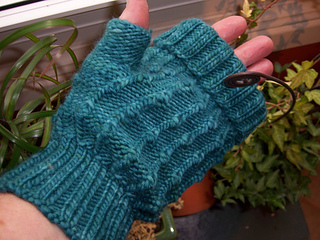 These fingerless gloves use less than one skein of Malabrigo and feature a rustic little four-stitch pattern, an afterthought thumb and a double cuff that can be rolled down over the fingers for extra warmth. 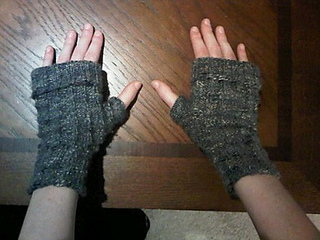 These would make awesome gloves for Men too. 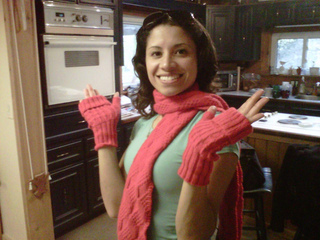 Please note: Many have found these gloves to be on the large side, please be sure to read the notes on sizing on the last page of the pattern before beginning. You will find directions there on how to make them smaller or larger.